This is one more game from Cartoon Networks. The Ice King has stolen the princess and keeps it in the castle in his Frozen Land. Only Jumping Finn can rescue her, but of course, with the help of his true friend Jake. 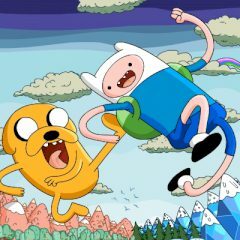 To see in what way Jake will help Finn to get to his destination, play this hilarious game!